Far from heading inside when the weather is cold, Coloradans love to celebrate winter with signature events during the snowy months. Check out these events to find out why we love winter. 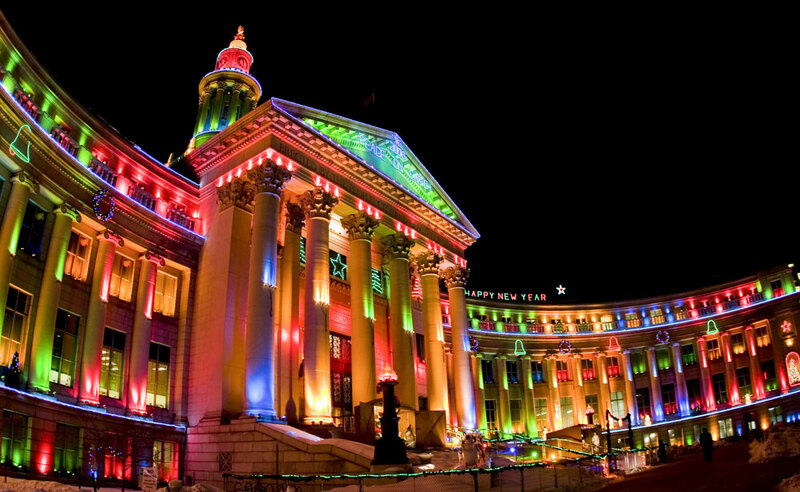 The Downtown Denver Grand Illumination (TBA, 2019) and Denver Parade of Lights (TBA, 2019) truly kick off the Denver area’s holiday festivities. Giant balloons, floats, marching bands and dance troops wind along a two-mile route that passes by the spectacularly lit Denver City and County Building. The Denver Zoo's Zoo Lights (TBA, 2019) and Denver Botanic Gardens keep the spirit alive with displays draped in millions of colorful lights during its Blossoms of Light (TBA, 2019) event. Find something going on every weekend during the holiday season for Mile High Holidays. Though they don’t linger too long during Colorado’s sunny winter months, frozen masterpieces created by gifted ice artisans leave a lasting impression. At the Budweiser International Snow Sculpting Championship in Breckenridge each January (Jan. TBA, 2020), teams from around the world spend a week gently coaxing intricate sculptures out of 20-ton blocks of snow. And at the Cripple Creek Ice Festival (Feb. 7-17, 2019), artists deftly use chainsaws to carve clear creations along the town’s main street, while families frolic through an ice maze.